Whether you call it a resolution or goal, the New Year naturally sparks change in our lives. Some resolutions are too focused on a number (“lose X pounds!” “make $$$$!”), so remember: If you want to make a change, it’s as simple as forming a good habit and losing an old one. If you had a tough year last year, we get it. 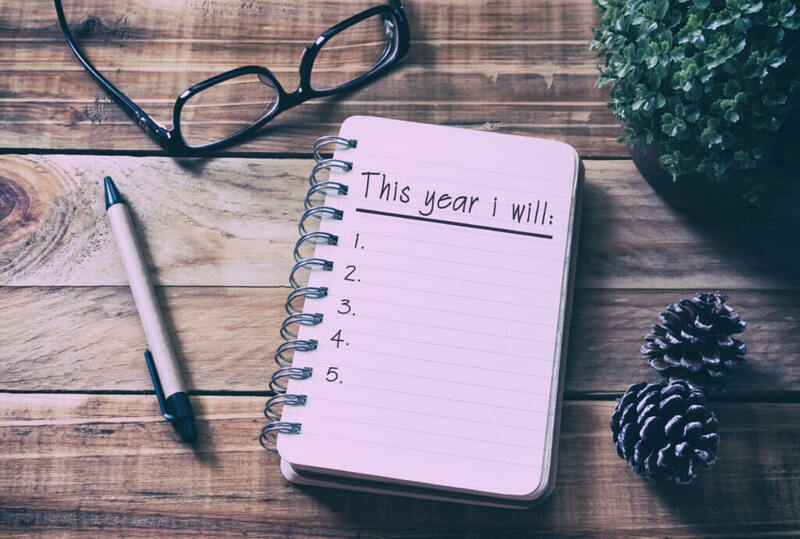 Here are some things you can do to make this year better. It starts with getting more sleep. Netting 7+ hours of quality Z’s every night feels incredible. Will you always get there? Definitely not. Sometimes the kids don’t sleep, sometimes that show you’re binging is too captivating, and sometimes you have too many things bouncing around your head. But when you can, retire early and rise early. It’s the best. Also, if you commute to work and you can’t stand how long it takes, think about how you might reduce it. If you get to work earlier and leave earlier, will that save time? Could you do some of your job from home? Or (this is the drastic option) is it worth finding a new job altogether? Three quick tips here. Volunteer, keep a journal, and do NOT forget about self-care. Volunteering makes your heart swell and puts some pep in your step for days afterward. Find a cause you care about and dive in. If you need some ideas, we absolutely recommend Feed My Starving Children. It just takes a couple hours to pack life-saving meals for people who need them. Keeping a journal (particularly a gratitude journal) will help you remember how beautiful life is and how the bad overshadows the good unless we do something about it. And self-care? That’s only a therapist’s favorite phrase of all time. When your tank is empty, what fills it? Excellent. Now gas up at least once a week. Start or bring back a creation-focused hobby. Consuming things—food, drink, entertainment—feels great in the moment, but at the end of a long session, you just feel BLEH. Having a hobby where you create instead of consume fixes that. Play an instrument, take up knitting, start painting, cook and bake, write short stories. Anything that lets you create. p.s. Reading is obviously wonderful and should be done often, but it’s also a form of consumption. Instead of reading endlessly, use it to inspire action and spark the things you create. Another holiday season is wrapped up, and your house is now dealing with a new wave of stuff. Stuff, stuff, stuff. Everywhere, all the time. When you have a free afternoon, take a look at all your belongings and ask Marie Kondo’s painfully simple question: “Does this thing bring me joy?” If it does, keep it! If not, donate it or junk it. We are being suffocated by our stuff, but this exercise opens the house back up and helps us focus on the things that truly matter. Take breaks from social media and cable news. Both can be sources of major anxiety, and hold immense power over people. Decide ahead of time when you’ll be taking breaks, and during that break time, focus on your family, friends, and surrounding community. Monitor what that does for your mental well being. If you like the results, consider a more permanent break from social media and news.